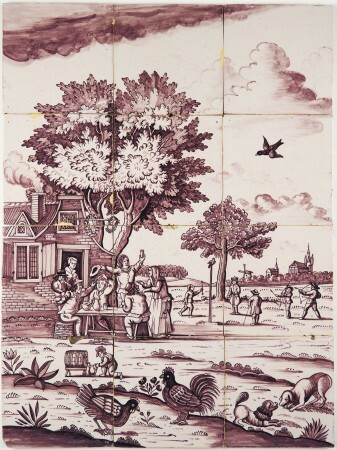 This is a beautiful and extremely well painted 18th century Delft tile panel with a lively tavern scene. The adults are drinking their beer and wine, while the hostess serves them. In the background, on the right side, children are shooting with a bow on a wooden bird. Another child is depicted infront of the adults, filling a vase with water (or wine?). The scene is completed with a rooster, chicken and two dogs playing. 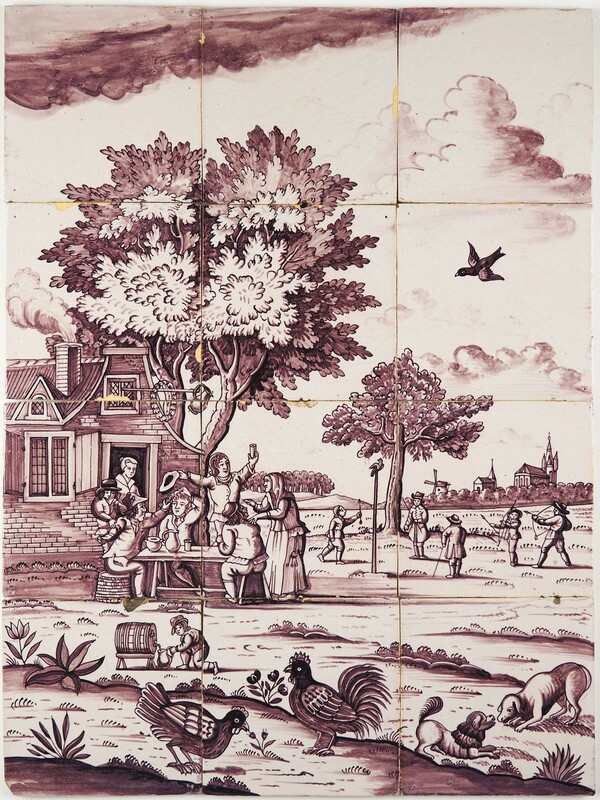 The mural dates from the second half of the 18th century and was assumably made in the Dutch city of Rotterdam. It is in a mint condition, with just a few minor chips. Those can be restored quite easily if desired. 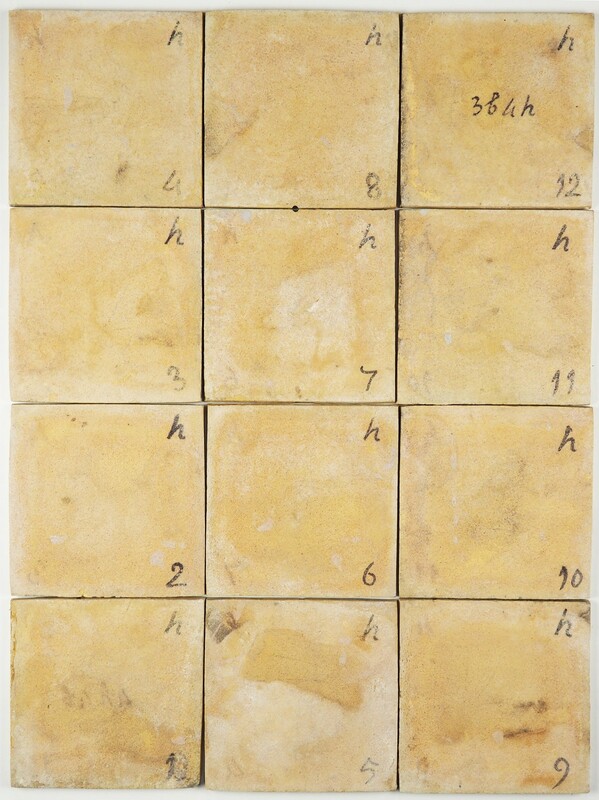 It has completelely been prepared to be reused for any kind of tiling project.